I’ve been putting books down left and right these days. It seems to be very hard for a book to wow me any more. But these days I’m very quick to put down a book if it’s not grabbing me or if I’m not totally hooked. Life is too short to read books you don’t love, especially when there are so many others out there that might totally grab you in (like Outlander—that’s currently rocking my world!!). I know a few other people who didn’t finish Six of Crows or at least weren’t crazy about it, so hopefully I won’t get murdered here by die hard fans! As I was reading the book, I felt like objectively it was good and interesting, but it just didn’t click with me AT ALL. I was bored to tears. I was forcing myself to get through every single paragraph. I had no emotional connection to any of the characters or events. It’s like I was just reading words on a page and I HATE that feeling. I’ve seen other bloggers say that it picked up at the end, but if I’m being honest then I had zero desire to even get to that point. I just couldn’t do it! 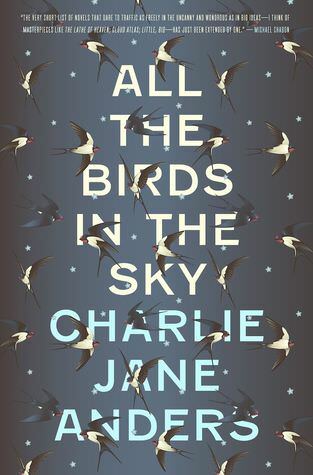 All the Birds in the Sky was just purely a case of not for me. I only got through like 10 pages (if that) before realizing that this book and I were not a match. The writing style immediately turned me off. It was very… artsy, I guess? I mean, I thought it was just plain weird, but I think that’s because it wasn’t a style that I personally can appreciate. But if you like books that are written in a strange, artsy, non-standard way, then by all means give it a shot. The Orphan Queen is actually one that I’m considering picking up again at a later time. I think maybe I wasn’t in the right mood for it or something. I started reading and nothing gripped me. I like to be pulled in IMMEDIATELY and that wasn’t the case here. I think I just got impatient and that’s why I put the book down. 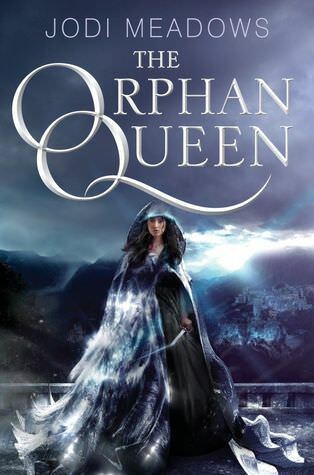 If you’ve read The Orphan Queen, let me know how you liked it! Told in Tim’s and Alice’s distinctive, disarming, entirely compelling voices, this return to the world of My Life Next Door is a story about failing first, trying again, and having to decide whether to risk it all once more. I think after a while I realized I was trying to force myself to like the book. But in reality, I wasn’t hooked. I wasn’t invested. I wasn’t attached to the characters. And I just flat out got bored. I think I made the right decision (for me!) in putting this book down. Afterwards I read through a few other bloggers’ reviews and they all confirmed that the romance is VERY slow. The main reason I picked this book up was because I wanted a juicy romance, but apparently that’s not really what the book is about. Wrong book at the wrong time. Leave a comment and let me know what you thought of them! I did finish Orphan Queen, but it was a hard fought book to finish. The beginning is very confusing, but after awhile the book just gets boring. I think it took me somewhere around 150 pages to get into. I loved Jodi Meadow’s other books, but this one was by far not my favorite. The last part was interesting, but it takes so long to get there. I hope you pick up The Orphan Queen sometime, like you said! I liked it a lot, and can’t wait to read The Mirror King. Six of Crows has a lot of hype surrounding it, amnd I was scared to read it. I ended up really enjoying it! And I didn’t *love* the Grisha trilogy (didn’t hate it either). The thing about Six of Crows is that the beginning is SO SLOW. I wanted to stop reading pretty quickly as well, but I kept reading… once all six of the protagonists are together (which is like, a third of the way in? Ish? ), THAT is when I started getting invested. 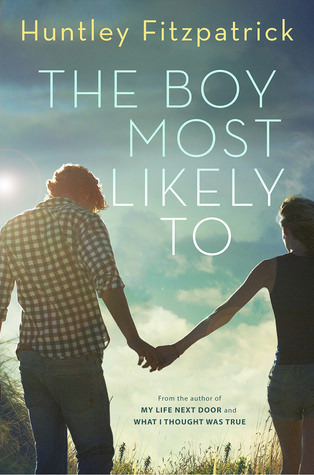 The Boy Most Likely To… meh. It was slow, the characters weren’t likable (for me, anyway). There was a huge “bomb” dropped somewhere in the first half (a third? A fourth of the way, perhaps), and I was pretty much over it after that. I gave it three stars, but months later, it was such a disappointment, I’m thinking I should have given it like, two stars. I WANTED to love it, you know? Yessss!! THANK YOU!! 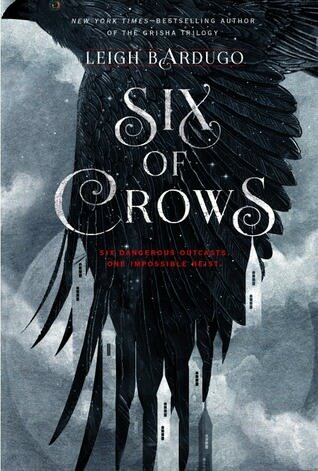 I’m reading Six of Crows right now, but I’m REALLY struggling with it. I’m just so bored, and I didn’t expect that going in. I’m so bummed. I felt similar with The Boy Most Likely To as well. Though I did finish it, I didn’t rate it very high. It definitely wasn’t a favorite of mine. Very slow, and extremely different than MLND, which is what I was hoping for. Such a huge letdown. I hope your next read is more enjoyable! Out of those the only one I wanted to read is Orphan Queen, but haven’t tried it yet. The others I don’t think I will be reading. Out of all of the books on this list, I’ve only read The Orphan Queen. I can solidly say that you should definitely give it another try. It didn’t immediately pull me in either, but it doesn’t take too long for things to start getting really good. Aww Ash, sorry that you’ve been DNFing a lot of books lately! But I totally agree with you – life IS too short to be reading books you won’t love. I probably won’t be picking up SIX OF CROWS until I’ve read the Grisha trilogy, but hey, at least you got through 30% of it, not bad at all! I’m like you: I neeeeeeed a book to grab me immediately, so I can see why you put THE ORPHAN QUEEN down! Maybe pick it back up when you are in a more patient mood? I read THE BOY MOST LIKELY TO last month and gave it 4/5 stars but it’s true, the romance takes a long time to develop. I was thinking of trying out Six of Crows but not now. Thanks. I haven’t read any of these books but I plan to give them a shot, except for All the Birds in the Sky which sounds like too literal-artistic-whatever for me. I haven’t read any of those books, but I can totally relate to you. 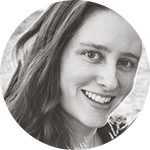 This Summer I started reading The perks of being a wallflower – I had heard so much about this book that I was really excited to read it. I never finished it – it didn’t wow me and I just got bored somewhere in the middle of the book. That’s definitely the way to do it. If it doesn’t pull you in right away, find something else. Life is too short to read books you don’t love. Honestly Six of Crows starts out slow but once you get through that part the action starts to pick up and it gets really really really good! That’s what I’ve heard from a lot of people! That’s good at least. 🙂 Sadly I just couldn’t make it to that point. Darn! Maybe is was just a wrong book at the wrong time kind of thing. I LOVED My Life Next Door!